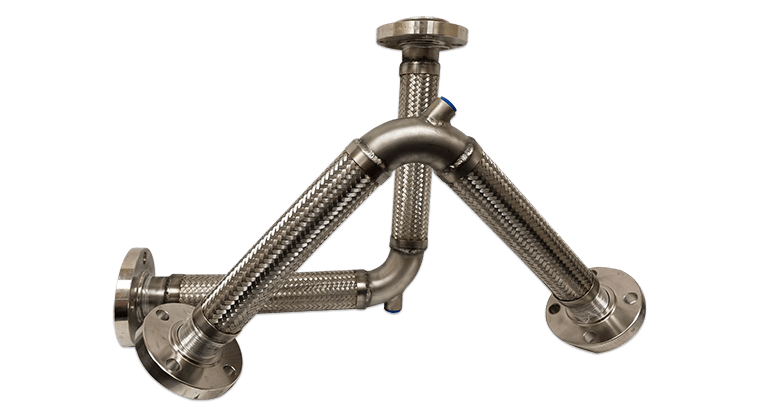 As certified hose experts we understand that there are times where creativity and ingenuity must meet as industrial applications often require customized stainless steel metal hose fabricated assemblies for optimum results. We’ve provided stainless steel metal hose fabrication services in the Dallas, Texas and Fort Worth, Texas areas for over 40 years. 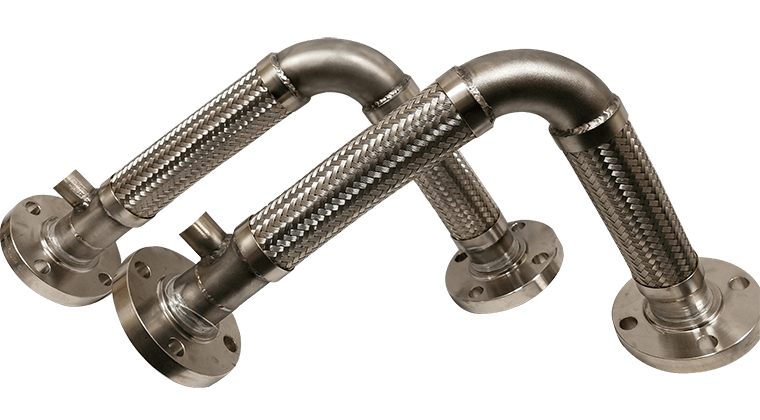 Our philosophy on custom hose fabrication is simple: you provide the specifications, we’ll design, engineer and fabricate the metal hoses with precision and deliver them on-time. Our proven fabrication process diminishes the opportunity for burn-through, leaks and decreases overall weld time. We follow industry standards from NAHAD/HSI and created additional quality control procedures to ensure maximum precision and quality in everything we fabricate. 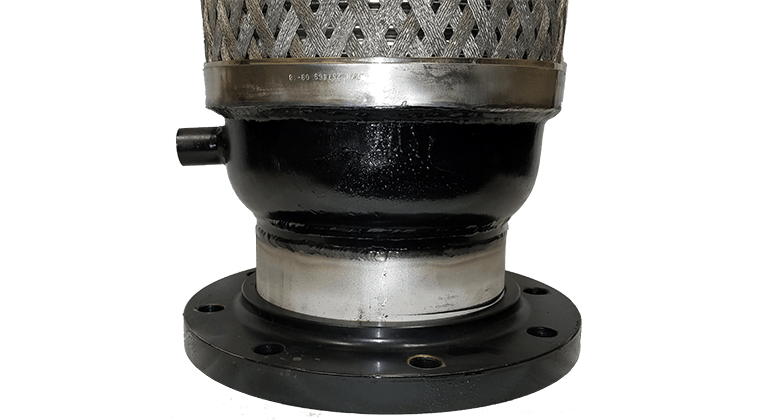 Our exclusive circular welding platform's slow-rotation feature enables a seamless weld, avoiding a leak path. In addition, pumping Argon through an overhead tube purges the weld and avoids burn-through of thin inner material. 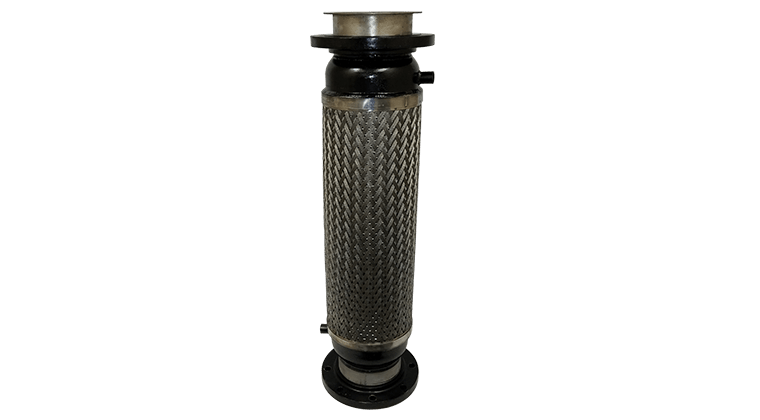 Cut away of Stainless Steel Metal Hose for temporary large-scale air compressors and water pumps. Completed stainless steel metal hose with vane for large scale data center in Fort Worth, TX. 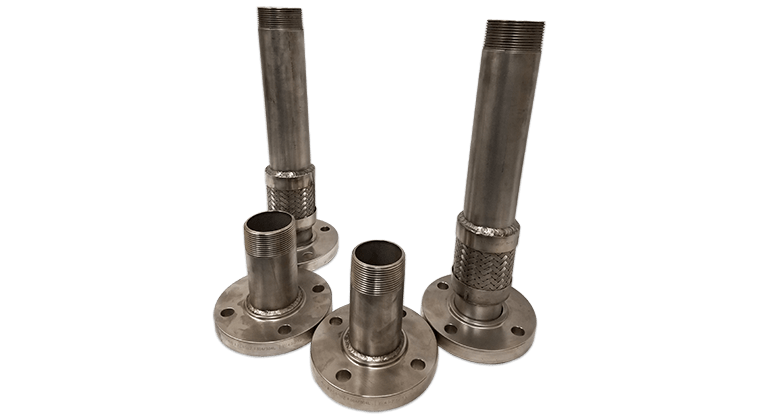 Custom Stainless Steel Metal Hose assemblies for gas-powered turbines in power generation application. Custom stainless steel metal hose assemblies utilized in power generation application. Custom fabricated stainless steel metal hose assemblies for a large air compressor designed from a customer supplied drawing. Stainless Steel Metal hose assembly with “Inner and Outer” hose. 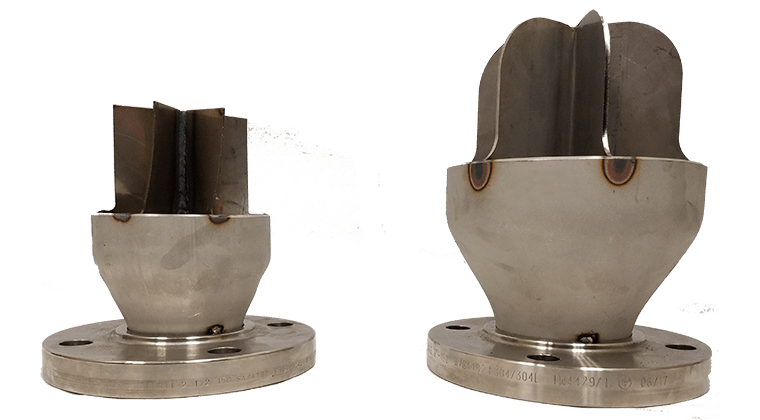 8” Inner and 10” outer hose for application that required liquefying of a heavy solutions. 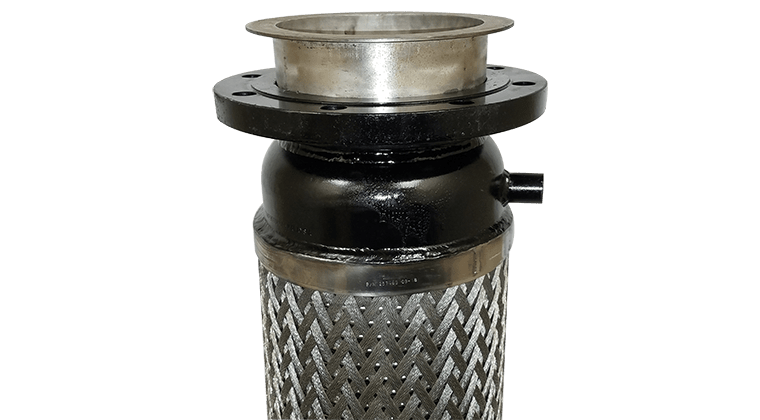 Custom stainless steel metal hose with ports for steam to be injected into the cavity between the inner and outer hose to liquify heavy solution. Completed stainless steel metal hose with vane for large scale datacenter in Fort Worth, TX. 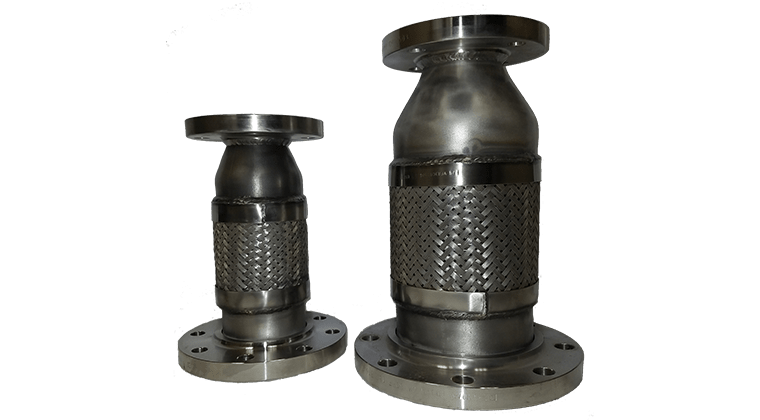 Custom stainless steel metal hose with ports for steam to be injected into the cavity between the inner and outer hose to liquefy heavy solution.